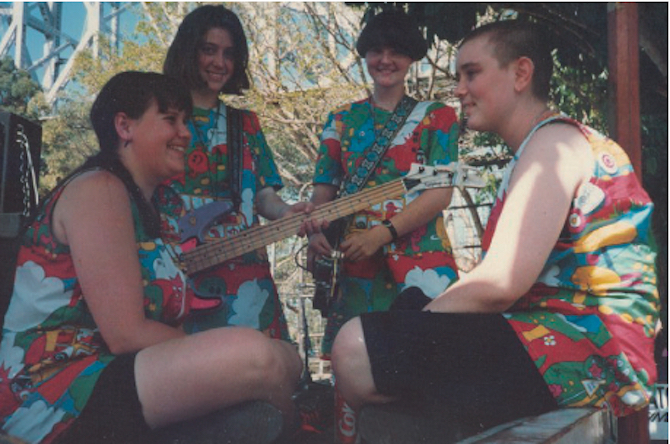 Formed around high school friends Bek Moore, Rachael Cooke and Alison Bolger in the very early 90s, Clag played a kind of psychotic kiddie-punk, full of one-note Casio solos and lyrics about cows, goldfish and chips with gravy. But their apparent innocence was merely a front, disguising examinations of the human psyche that grew darker as the band progressed. In 2012, Chapter Music released a compilation of Clag’s ridiculous yet sublime recordings called Pasted Youth. In early 2016, remarkable singer Bek Moore passed away, and so Clag are back playing one final show to farewell her.